Home - Reading Eggspress | Where reading is just part of the adventure! Reading Eggspress makes reading real books, improving spelling skills and building reading comprehension highly engaging for kids aged 7 to 13. The online reading program is packed with hundreds of interactive reading activities, online children’s books, and literacy games. And it really works! 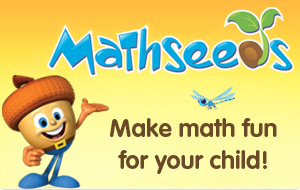 Your kids can start learning now – just click the ‘free trial’ button to get started. “It’s great! My children are in charge of their own learning at their own pace.” – David S.
“My daughter uses Reading Eggspress nearly every day and LOVES it! Thanks for a fun and educational website that my 7 year old can navigate by herself!” – Sue K.
“The e-library is such a fantastic feature – the selection of books, the quizzes and rewards – JUST FABULOUS!” – Kim W.
“My son cannot get enough... Now he pesters me to get on to Reading Eggspress so he can read another book!” – Jennifer P.
“My daughter loves the multiplayer arena, playing against other children from around the world.” – Carla M.